Save the Children seeks 4 Livelihood project coordinators for a USAID-funded Multi-sectoral Nutrition Activity in Tanzania. The Livelihood coordinator will be responsible for work planning, coordination, and technical implementation of innovative integrated nutrition livelihood activities in the target districts. He/she will work closely with LGAs, CSOs, private stakeholders and communities to coordinate capacity building, and onsite mentorship to ensure Successful implementation of the project activities as per the detailed implementation plan. He/she will be required to maintain strong coordination with the MEAL, SBC advisor, and nutrition coordinator to ensure progress is achieved towards nutrition targets. S/he will establish and maintain close and effective liaison with government partners at LGAs and communities to facilitate flow of information, reports and updates including staying abreast of current trends and innovation related to project result area. He/she will participate in relevant agriculture and livelihoods working groups and policy fora at regional and district levels. 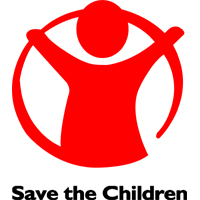 Save the Children seeks a Monitoring and Evaluation Coordinator for the Lishe Endelevu project, which is a USAID-funded Multi-sectoral Nutrition Activity in Tanzania; to be responsible coordinating project monitoring and evaluation (M&E) activities, supporting targeted evaluations, supporting information systems management, ensuring data quality and provision of capacity building. Working closely with the MEAL Advisor, the incumbent will provide advice, guidance, and coordination to SCI and consortium partners and government authorities, at the regional and district level. Under the guidance of the Logistics and Admin Officer, the driver will be responsible to provide safe and reliable transport service to the designated staff and guests across Tanzania to implement Lishe Endelevu activities and other official businesses of Save the Children International (SCI) in a highly professional and efficient manner. At the same time, adhere to the organization policies and follow road safety standards. Level 2: the post holder will have access to personal data about children and/or young people as part of their work. 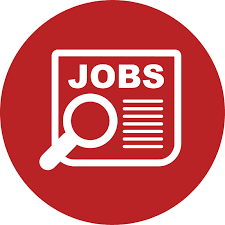 ROLE PURPOSE: Save the Children is seeking 4 Project Area/Regional Managers for the USAID-funded Improved Nutrition for Better Life Program in Tanzania. This four-year program will intensify and integrate nutritional support to targeted regions to improve the nutritional status for women of reproductive age. This target group includes pregnant and lactating women, adolescents and children under five years of age in Tanzania. In addition, the staff will also work closely to support the Government of Tanzania (GOT) and local NGOs working at the district, facility, and community levels to improve nutrition-related behaviors within households by promoting evidence-based nutrition specific and nutrition sensitive interventions, and in line with the GOT’s National Multi-sectoral Nutrition Action Plan. Save the Children seeks 4 Nutrition project coordinators for a USAID-funded Multi-sectoral Nutrition Activity in Tanzania. The Nutrition coordinator will be responsible for work planning, coordination, and technical implementation of innovative integrated nutrition and social behaviour change communication (SBCC) activities in the target districts. The Nutrition coordinator will build capacity of relevant stakeholders at districts, health facilities and communities in nutrition throughout project implementation. The Nutrition coordinator will also work closely with the MEAL, SBC and Livelihood coordinators to ensure progress is achieved towards nutrition targets. S/he will establish and maintain close and effective liaison with government partners at LGAs and communities to facilitate flow of information, reports and updates including staying abreast of current trends including participation in relevant nutrition working groups and policy foras at regional and district level. Level 2: either the role holder will have access to personal data about children and/or young people as part of their work; or they will be working in a ‘regulated’ position; therefore, a police check will be required. ROLE PURPOSE: The Administration & Supply Chain Officer is responsible for the effective application of SC administration and Supply Chain policies and practises and enforcement of SC administration and Supply Chain reporting systems and internal control procedures and will provide support to Lishe Endelevu Programme. CHILD SAFEGUARDING:Level 3 – the responsibilities of the post may require the post holder to have regular contact with or access to children or young people. CHILD SAFEGUARDING: Level 3 – the responsibilities of the post may require the post holder to have regular contact with or access to children or young people. As part of these responsibilities the post holder will promote a culture of keeping children safe, and ensure that potential harm to children (by our own staff and/or as a result of how we do our work) is identified and addressed on an ongoing basis. The post holder should report and respond to interventions as determined by position related responsibilities identified in the Child Safeguarding Polciy.